On Sunday 5th March, 19 intrepid members of the Incorporation paid Central Station a visit. The visit was not to catch a train, rather it was to participate in a tour of the tunnels below the station. Collector Gordon Weetch had made all the arrangements and after gathering on the concourse we we soon donned our protective gear. Our guide for the tour was Paul Lyon, the curator of the tunnels. He did a superb job not only of relating the story and history behind the tunnels, his style and Glasgow patter was a delight to all in attendance. Not one of us knew about the story of the tunnels during the Great War, when sections were used as a morgue for the soldiers returning from the terrible slaughter that took place. Poor mothers and sisters had to go there to identify their dead next of kin and arrange for them to be removed for burial. 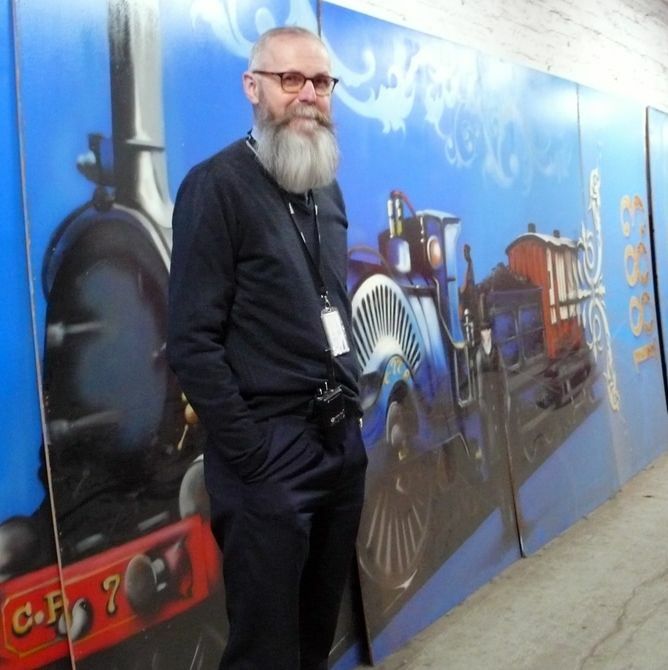 Paul intends to create a museum down in the tunnels and this will enhance the experience for all Glaswegions and other visitors. Rather than letting you know all the wonderful stories told by Paul and spoil the experience that awaits you in the bowels of the station, I would encourage you to take a tour and learn from first experience the wonders below the station. Booking a tour can be done by visiting Glasgow Central Station Tours.